I’ve been loving chocolate lately! 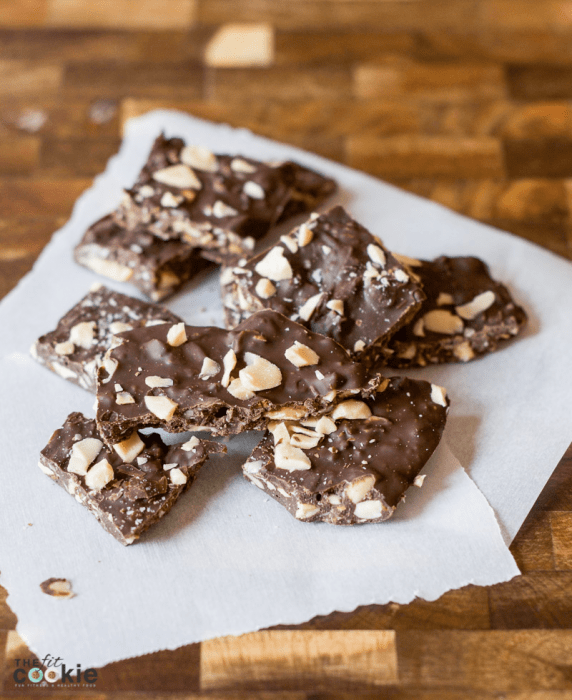 We’ve had a few chocolate recipes up on the blog (including Kirstin’s Chocolate Protein Bites), and I still have a few chocolate recipes lined up for the next week or 2, including this delicious Almond Toffee Coffee Chocolate Bark. One to two years back, I had to avoid chocolate for a while due to some health issues, and let me tell you it was tough! Chocolate is definitely one of my favorite treats, especially when my diet is pretty limited already. I try not to over-do it with chocolate since it’s easy for me to develop new food allergies and intolerances, but I still have some and make recipes with it often. 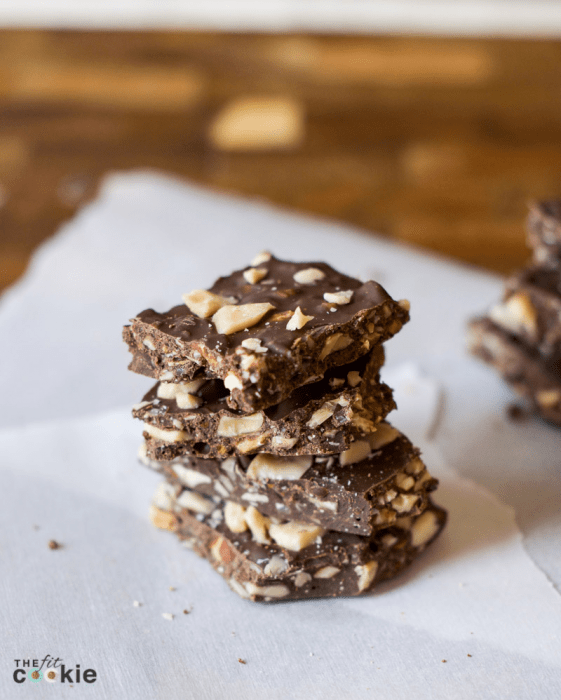 This chocolate bark is made with almonds, but if you want to make this recipe nut-free, you can replace the almonds with roasted sunflower seeds or roasted pumpkin seeds. 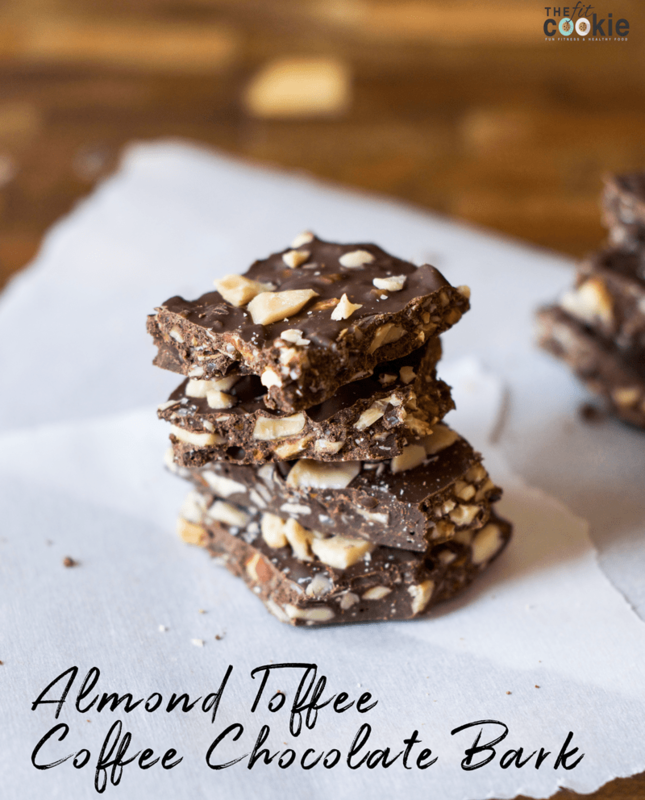 I can have almonds myself, so I made this with almonds, I just couldn’t share this recipe with my kids. One of my favorite recent food finds has been the Chimes coconut hard toffee that I use in this recipe! They are so yummy, and they aren’t made in a facility with other nuts, so my kids can have them, too. 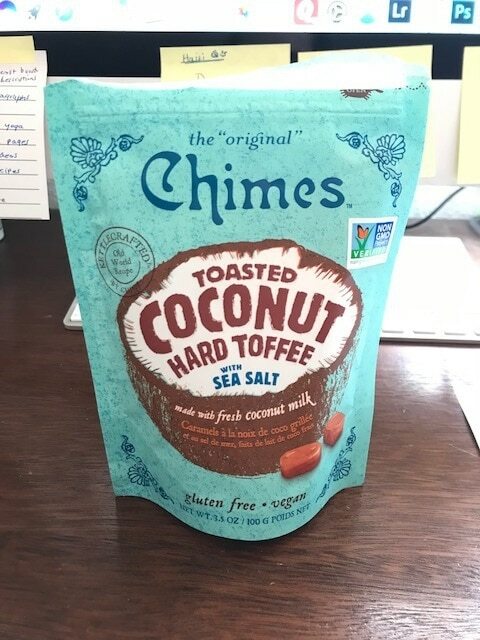 I first got a bag of Chimes at Whole Foods in Fort Collins, but I found them online too so I buy them on Vitacost when I’m craving some hard toffee. 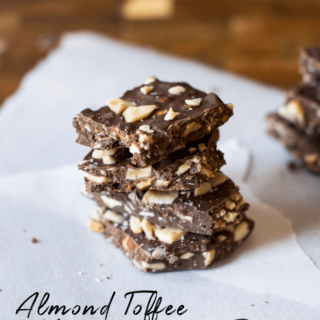 If you have a favorite brand of non-dairy hard toffee, feel free to use that instead of Chimes if you prefer or if you like to make your own you can use that as well. I had been working on a dairy-free English toffee recipe a while back and got pretty close, I need to start to work on that recipe again soon! 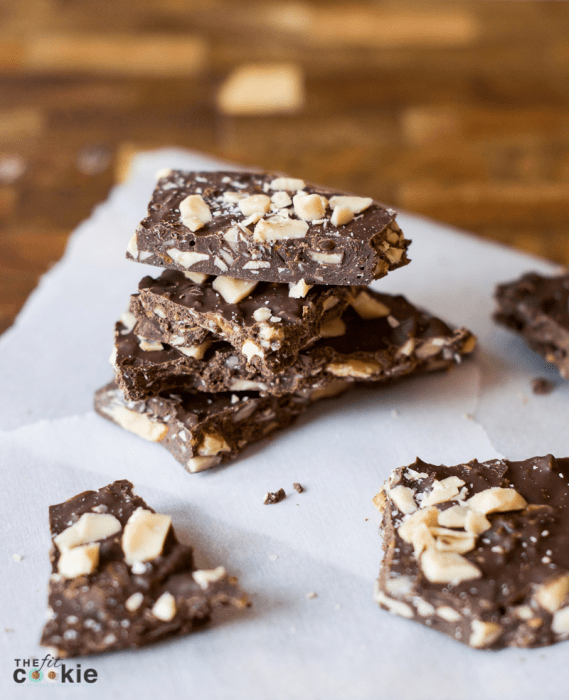 Skip the store bought candy bars and make some dairy free and vegan Almond Toffee Coffee Chocolate Bark at home, it’s gluten free too! Place the Chimes in ziploc bag, and using a heavy rolling pin, crush the coconut toffee into course bits. Set aside. Add the almonds to a ziploc bag and crush with a rolling pin into course pieces. Set aside. In a small bowl, heat the chocolate chips in the microwave for 30 seconds at a time until melted, stirring frequently. Chill the chocolate bark in the fridge for about 30 minutes or until set. Break up into pieces and store in an airtight container for 3-5 days. I love the gluten free and vegan combos! This looks delicious! Talk about a super easy recipe to satisfy anyones SWEET and CRUNCHY cravings!! I cannot even remember the last time I had something toffee flavored! 😮 I bet your kids loved these!! The kids couldn’t have these because of the almonds, but I want to make a batch of these with sunflower seeds for them soon! You’re killing me here. Chocolate, almonds, coffee AND toffee?!! I can’t wait!